CLEVELAND (December 5, 2017) – Where can you take the whole family over winter break to get away from the screens and gadgets for a while? 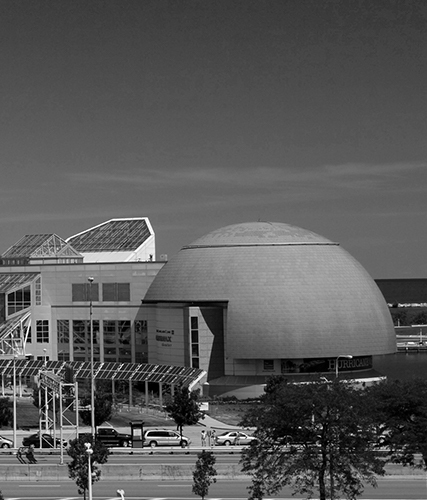 Bring your holiday crew downtown to Great Lakes Science Center and experience Winter Wonder Days! 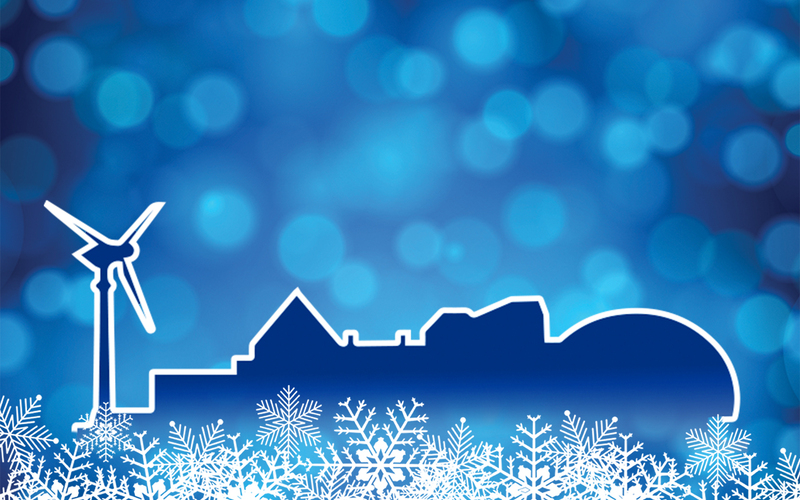 Start a new family tradition and make memories over winter break while exploring the hands-on activities, programs and demonstrations at the Science Center from December 26 through January 7. From liquid nitrogen ice cream demonstrations and chemical reactions to carpet skating and dancing in the snow, there’s wintry themed family fun for everyone, with all activities included with the price of general admission. The Fire and Ice Science Spectacular features amazing experiments with extreme hot and cold temperatures, guests can use their creativity to design and make their own train out of common materials and add it to a cityscape, and they can take home their own polysnow – an absorbent polymer that won’t melt in their hands. There will be carpet skating in the Auditorium, a CryoBlast Big Science Show, dance parties in the snow and a special New Year’s Eve Eve celebration on Saturday, December 30 with a fruitcake explosion and 2,018 balloons dropping from the top level of the atrium into the Wintergarden! 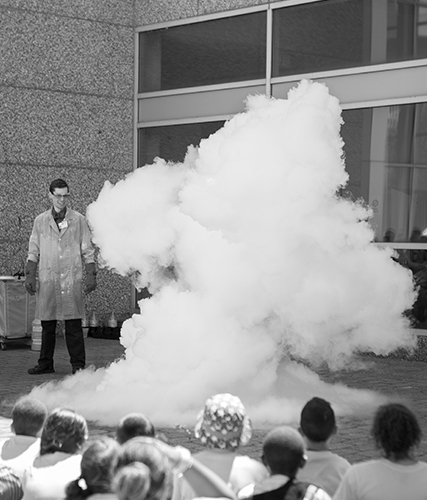 We experiment with extreme temperature -- sometimes with explosive results -- in this really “cool” demonstration. We put the sizzle in science and heat things up! We experiment with flames and fire and watch when extreme heat and cold come together with surprising results. Learn about the states of matter in this deliciously fun demonstration and enjoy the results of our experiment. Put on your dancing shoes and grab a partner, we’re going to make it “snow” indoors for a dance party! Come a little early to join in on pre-dance fun. Navigate through our winter wonderland and satisfy your curiosity with science fun facts. Can you make it through? 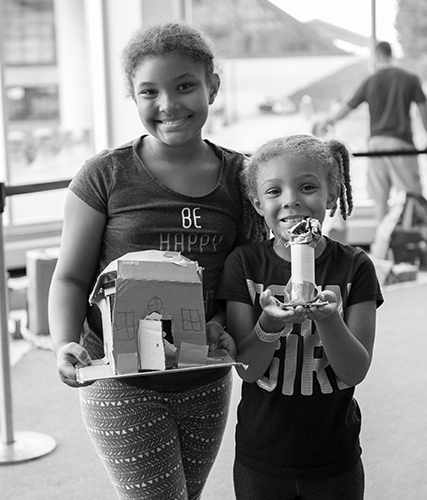 Use your imagination as you design and build a toy train, bridge, structure or other cardboard creation and add it to our winding miniature city-scape. Warm up by strapping on a pair of “fun skates” and take a spin around the carpet rink. Just add water! Learn about chemistry and super-absorbent polymers, and take home your very own snow that won’t melt in your hands. Supported by BASF. Time: Saturday, December 30, 2 p.m.
Ring in the New Year a little early with a fruitcake explosion and 2,018 balloons dropping from the top level of the Wintergarden atrium at 2:18 p.m.